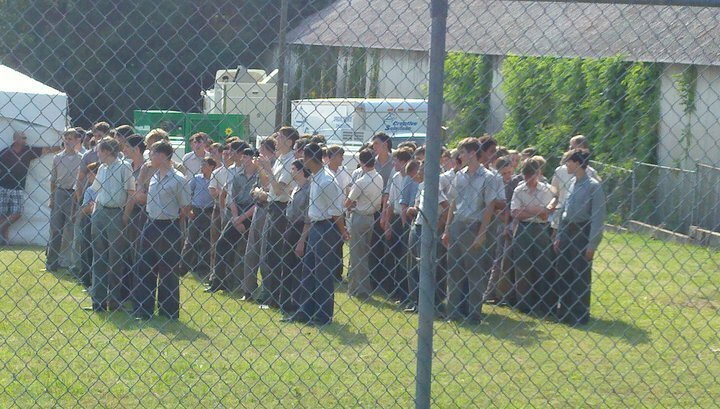 The Hunger Games movie - On set: Shelby, NC (May 26, 2011). The Hunger Games movie - On set: Shelby, NC (May 26, 2011). Wallpaper and background images in the The Hunger Games Movie club tagged: the hunger games movie on set. This The Hunger Games Movie photo contains chainlink fence. There might also be wicket, penal institution, and penal facility.